What happened in the last 3 years ? 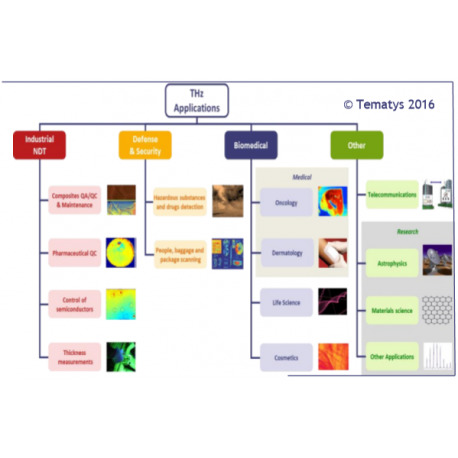 In 2013, Tematys has released a Terahertz studies report on market and technology trends covering the electromagnetic spectrum from 200 GHz to 10 THz. 3. Chemical and Structural characterization of small objects and defects on small areas (2D) or volumes (3D). 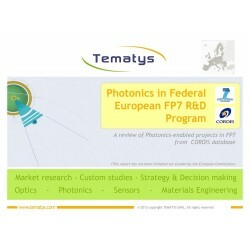 For each product family, the report studies the innovative systems developed to answer the end-users needs. It also details current and future trends in component developments as well as perspective on cost decrease. 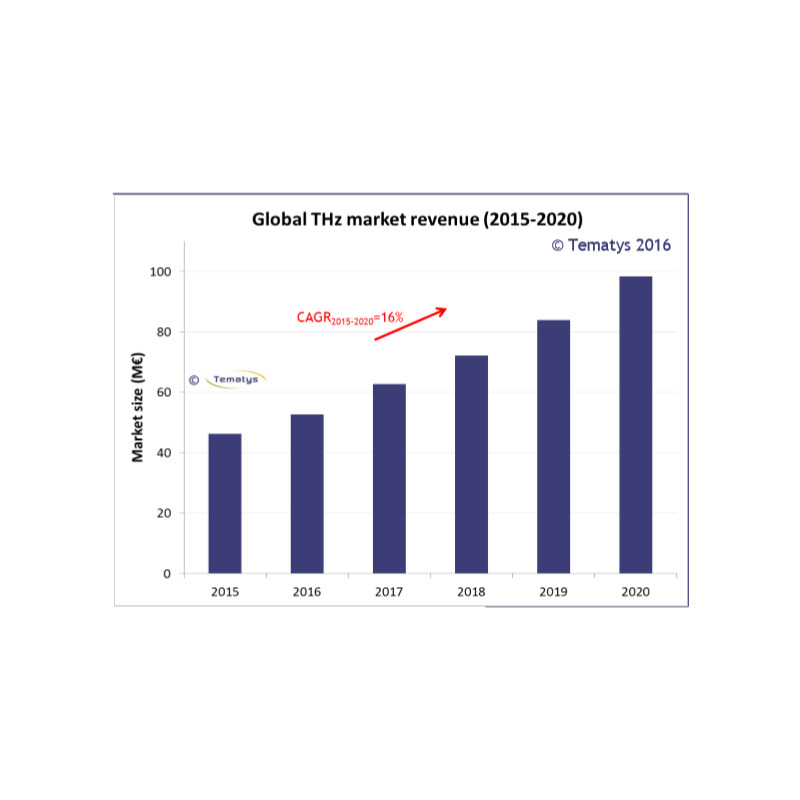 The better understanding of THz technologies abilities together with the evolution of the application markets will drive the growth of the THz market. 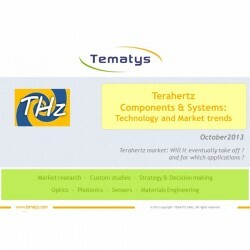 This report analyzes the markets of THz technologies (Industrial NDT, Defense and Security, Telecommunications and Biomedical) to identify those where the demand for THz methods is the most mature. 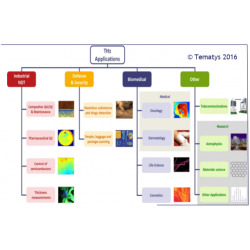 For all these markets, the report identifies the most promising THz-based applications. With the development of new and more complex composite and ceramic materials and coatings, the industrial NDT market is the major driver of the THz market growth. 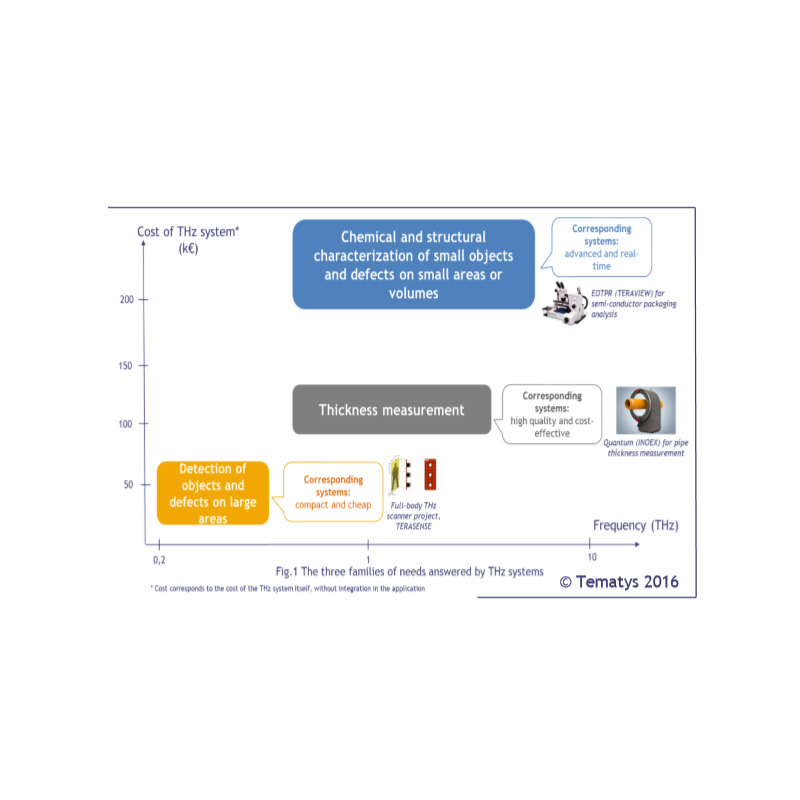 The terahertz market is expected to grow from € 46 M in 2015 to € 98 M in 2020 with a CAGR2015-2020 of 16%. The industrial NDT market accounts for 46% of the total THz market revenue in 2015 and is expected to grow at a CAGR2015-2020 of 19%. 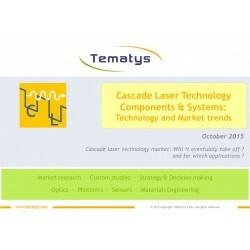 The report includes a detailed market revenue forecast by application from 2015 to 2020. 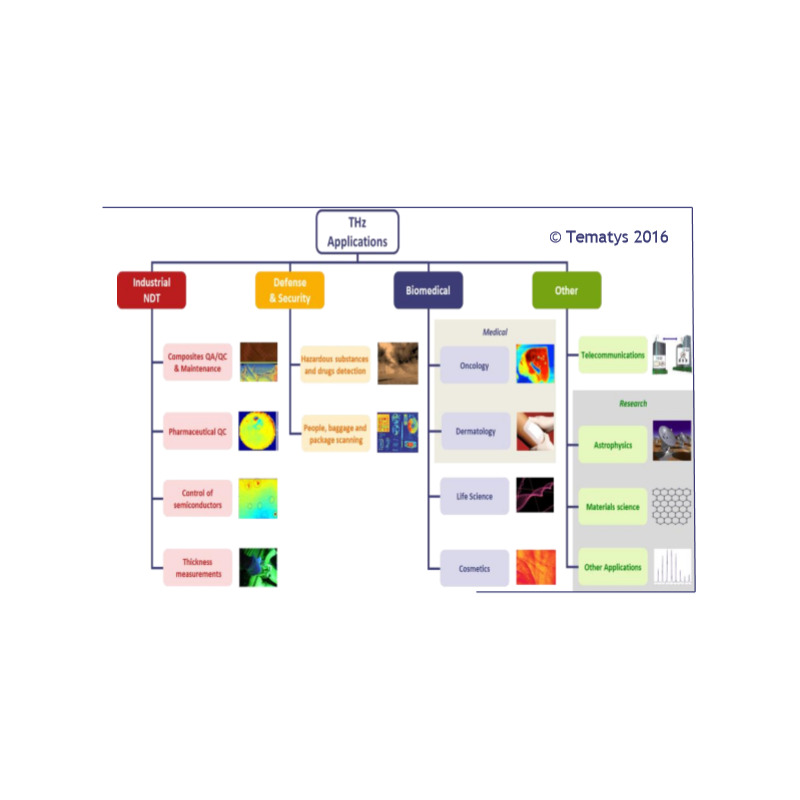 A forecast of components and systems revenue breakdown is also provided as well as a forecast of unit volume of systems with imaging / sensing breakdown. 4.What happened in the last 3 years ?